Are you wondering what to do next, feeling sad, and empty? 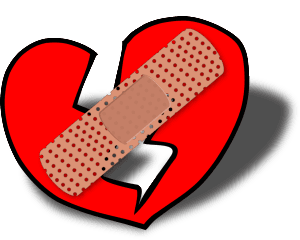 Breaking up a relationship whether or not its a marriage with children involved, or a short term relationship that you had invested time and effort, but just didn’t work out the feelings can be the same. It can feel very confusing and conflicting. Some people find it really hard to interact with other people fully because their mind is full of thoughts about the other person. Sometimes they are filled with self doubt because they finished the relationship, and they aren’t sure if it was the right thing to do. Sometimes they feel unsure about ending the relationship, knowing deep down its not a healthy relationship, but are scared stiff to take the next step for fear of being alone, or fear of failure. The way we feel when something traumatic happens can seem overwhelming, and that is where the hypnosis can help. These feelings of being overwhelmed, and the accompanying thoughts are really hard to dismiss. You will learn why this is the case, and how to gain some perspective which will enable you to be more selective of what you think about and when you think about it.